Affordable, great value, long lasting... That's Silver-top! 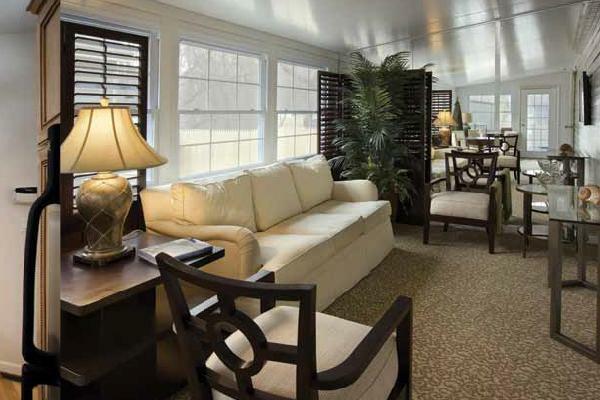 Silver-top is one of the leading producers of aluminum awnings and patio rooms for the home. All of our products will be custom manufactured to fit the exact specifications for your project. Our knowledgeable staff is committed to long term customer satisfaction so that you will be guaranteed to receive the highest quality of service, products, workmanship, and materials. 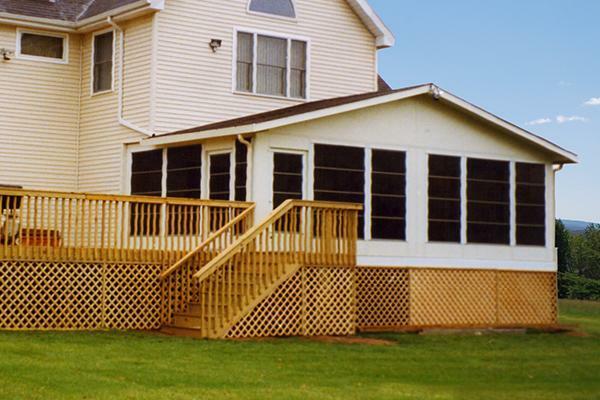 Contact us today to schedule a free estimate for your patio or deck home improvement project. Our Chateau, the peaked roof, is available in custom sizes. Innovative design, superior materials and precision craftsmanship make it an investment that will increase your home's value. The Chateau can be used to cover doors, windows, patios, and decks. 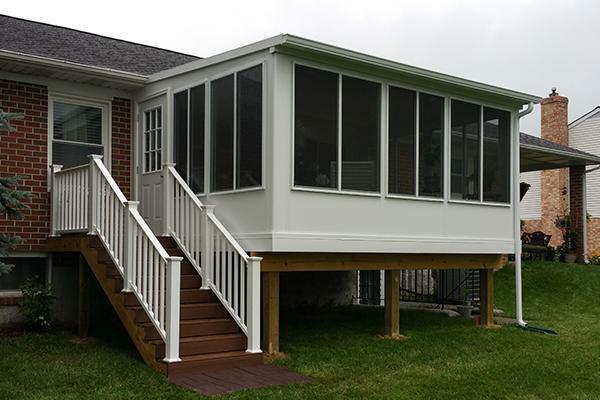 Also, the Chateau can be enclosed at the time of installation or later on, to transform your deck or patio into a comfortable outdoor living space. 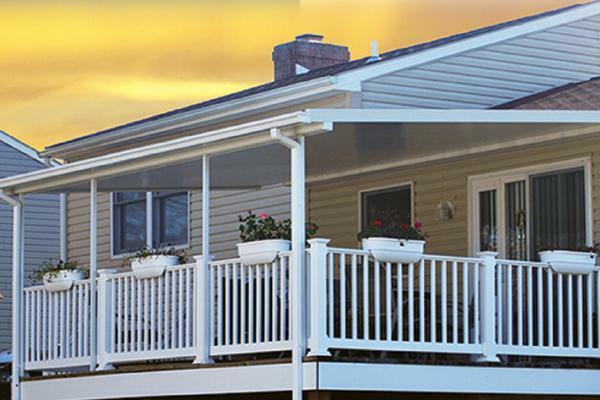 The Chateau comes standard in white or cream, with your choice of decorator color inserts for the gutter and side trim. Optional skylights are available. The DeckMate is a major innovation in home improvement. During the summer months it's insulated roof panels redirect the light and heat and block dangerous UV rays. 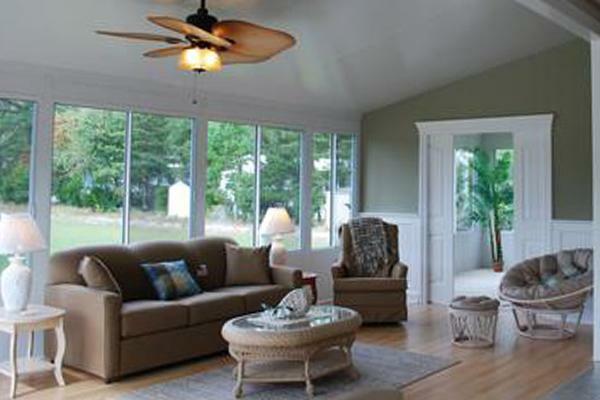 Your deck or patio is kept cool and shady which contributes to indoor energy savings in adjacent rooms. During the cold months, The DeckMate is disassembled and neatly stored away. The warmth and light can enter your home freely, providing additional energy savings..
A variety of colors, patterns and styles allow you to choose a valance trim that complements your outdoor color scheme. 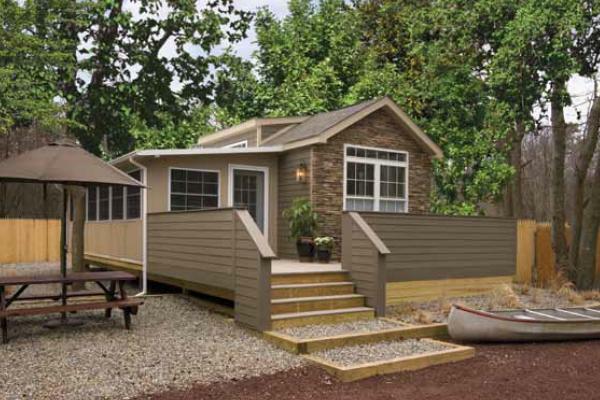 The DeckMate is considered to be a seasonal home improvement and generally does not increase your property tax. The Silver-top Snap-Lock Awning is an attractive, yet economical choice for homeowners who require an insulated product. It will quickly transform your patio into a comfortable, protected outdoor living space. 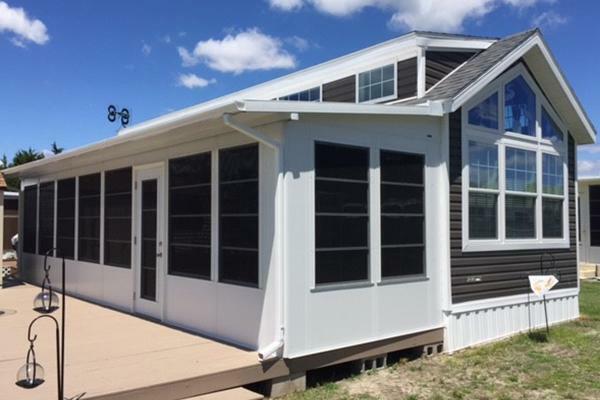 Contemporary trim colors, decorative columns and railings are among the many options available to help coordinate a new Snap-Lock Awning with your home's existing color and style. 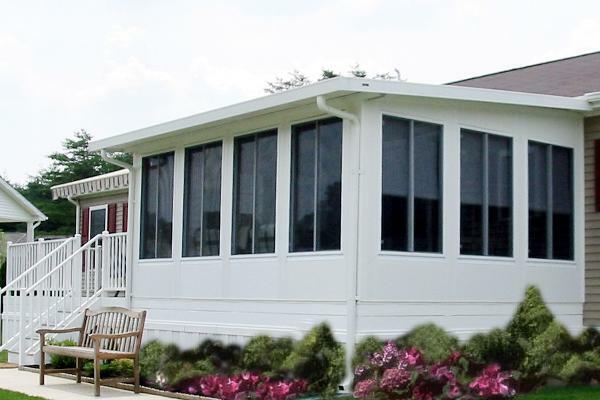 At the time of installation, or in the future, the area under your Snap-Lock Awning can be enclosed to create a screen room or a Silver-top three-season room. 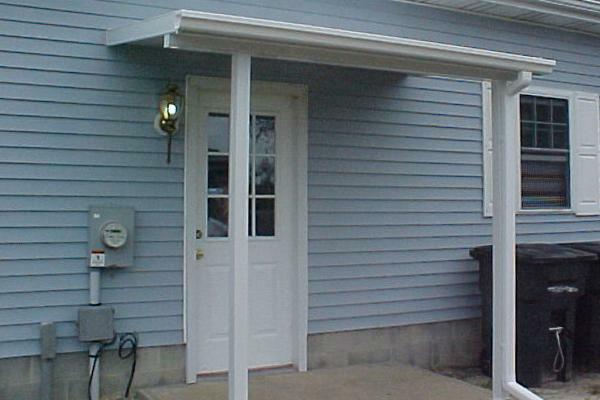 This three, four or six inch thick awning features an interlock design which allows easy and fast installation. White painted aluminum covers the exterior and also the underside of the roof panel. 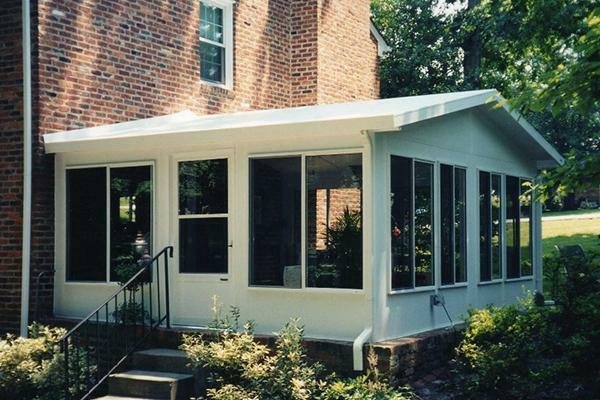 The Snap Lock Awning includes vinyl gutter and downspouts, but can be substituted with an optional heavy extruded gutter with house-type downspouts. Fan beams are also optional. An expansive view brings the outdoors indoors with our most versatile screen room, the Horizon. Large, one-piece modular sections allow maximum ventilation. Bottom kickplates help protect your investment, and the fiberglass interior is scratchproof for years of appeal. The Horizon is adjustable in height and available in either white or cream. The Grand View offers a series of sliding doors, with many styles, sizes and finishes available. Just slide the doors open and you have a comfortable screen room. 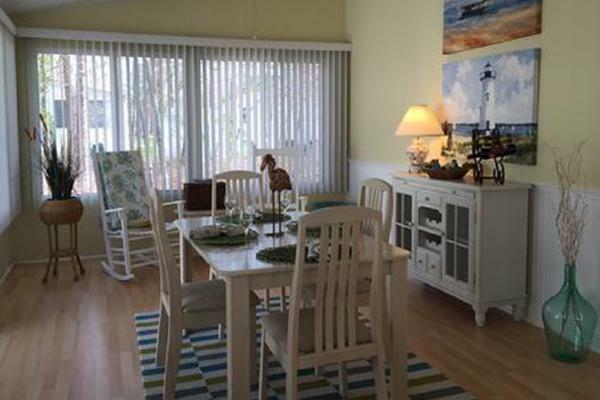 The Cameo Room offers three seasons of virtually maintenance-free living. It's the most popular choice of our customers! Ideal for temperature zones and usage where maximum thermal performance is unnecessary. This is the room that sets us apart. The clean and functional design of the Cameo, compliments all architectural styles. The interior finish blends flawlessly with the existing interior of the home. The exterior is high-quality, maintenance-free aluminum with a baked-on enamel finish, standard in white or cream. The interior walls are covered with optional metal or standard scratch-and dent-proof solid-color fiberglass, which stays warm to the touch and alleviates condensation. If you are addressing the problems of efficient waterproofing, security and sensible design, the Cameo Room presents itself as an intelligent solution. 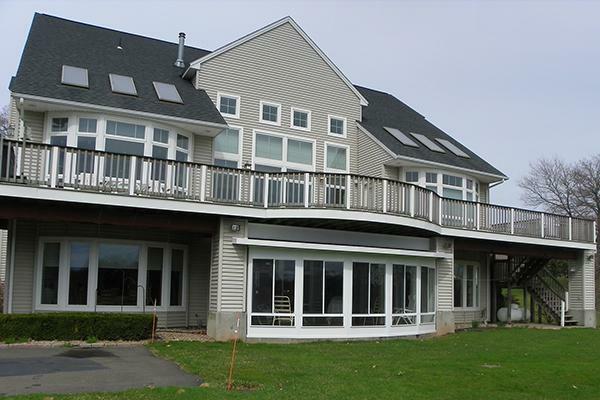 All windows are marine glazed for a tight and long-lasting seal. Standard single-glazed windows are tempered safety glass. Spring loaded latches lock the sash panels automatically and securely when closed. The latch is adjustable for desired height and easy opening. The Cameo Room comes standard with one 36" door. Other options include: aluminum sliding doors in single or double glazed, tempered glass sidelights, and full screening. The Manor Room is a wise choice for homeowners looking for quality materials and craftsmanship in a year-round, maintenance-free room addition. The Manor Room can be heated and cooled for total comfort in all seasons. In addition to allowing more flexibility in floor plan, window and door placement designs, the room is available with many options to create an even more customized look. Maintenance-free exterior walls are manufactured as laminated panels of high-quality aluminum with a baked-on enamel finish in either white or cream. Pre-hung door sections are constructed for energy efficiency. The door includes a deadbolt lock and brass-finished knobs. A nine-lite window is optional. An acrylic glazed storm door with screen is included in this section. A smaller door, without the nine-lite window, is available. Window sections are factory installed into modular sections. 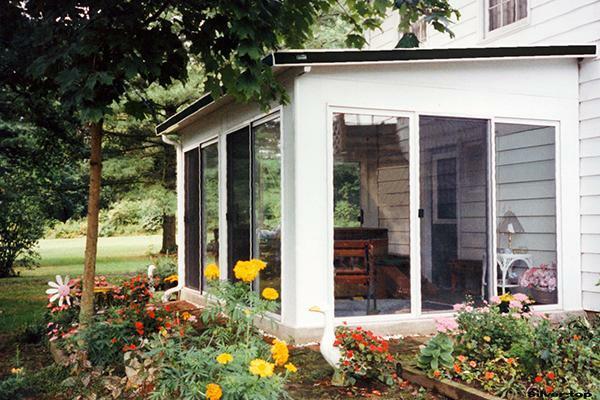 The insulated vinyl windows include full fiberglass screens. 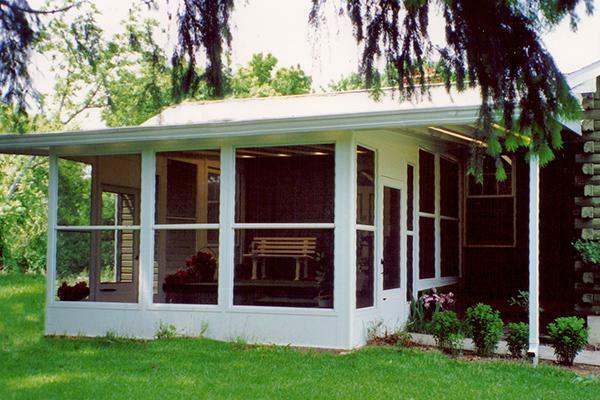 Choose from either double-hung windows or two-section horizontal sliding windows. Silver-top also provides coverage for your second most important investment, your automobile. 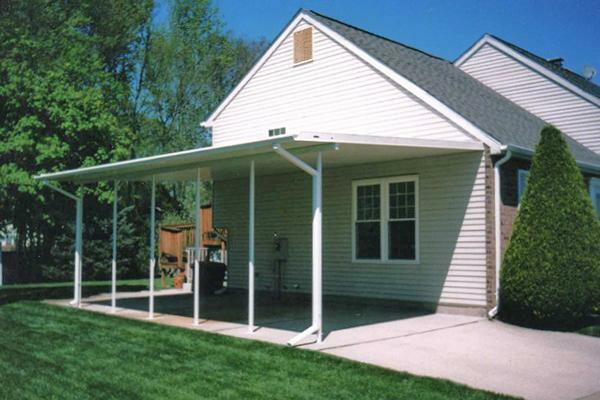 Silver-tops carports can be small or large, single or double or triple, as large as needed. They can be designed curved, straight, peaked or slightly elevated. No matter what the need, Silver-top's got you covered! Call for more information about our products and different choices at 1-800-638-6960. 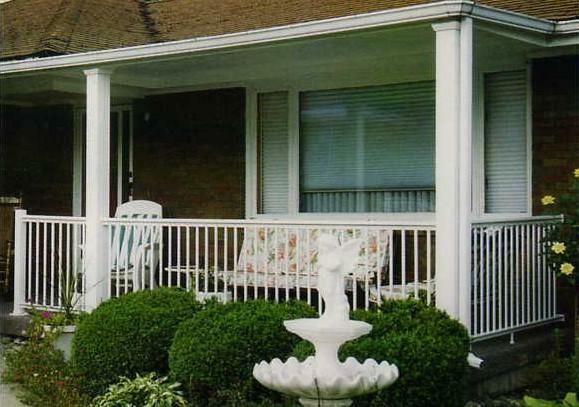 Silver-top aluminum railing features a baked on enamel finish in white, bronze, and black. 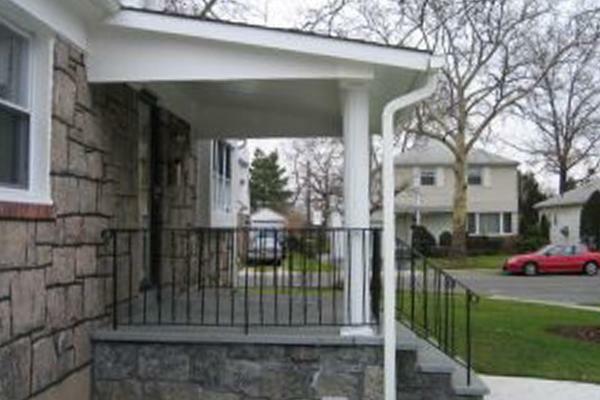 The railing is made from heavy gauge aluminum and weldless design for safety. Choose a Silver-top rail to add a tasteful look to your patio or porch. 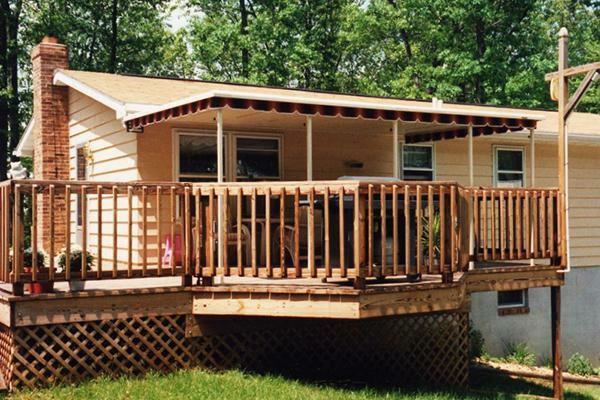 Silver-top has an additional line of vinyl fencing, decking, outdoor storage units and carports. No matter what the need, Silver-top's got you covered! 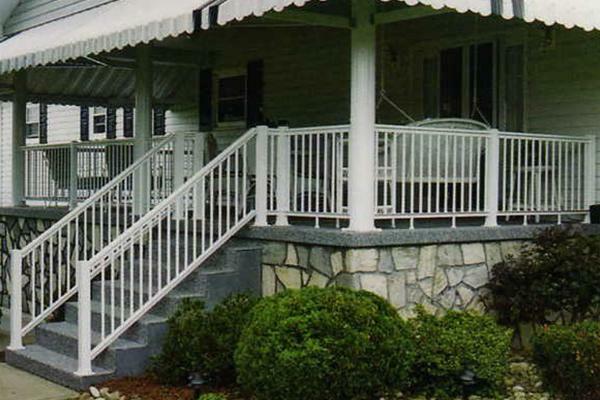 Add security and beauty to your home with our quality railing. 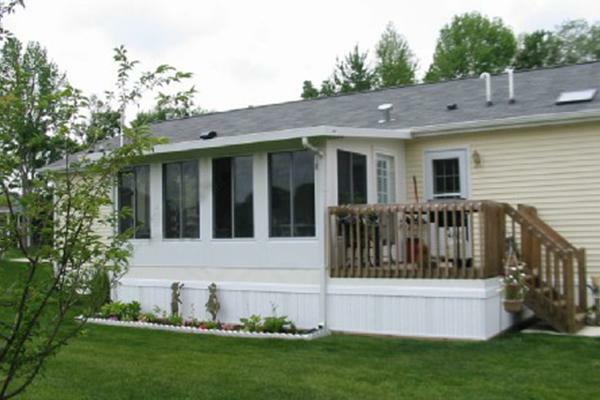 Add a touch of functional elegance to your landscape with an all-aluminum Lawn and Garden Building. 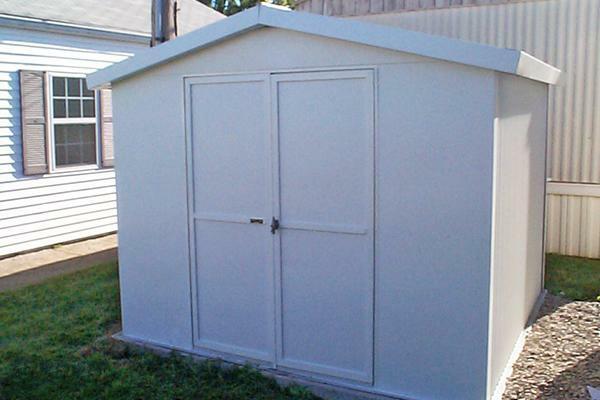 Silver-top's storage-sheds have lasted for decades. 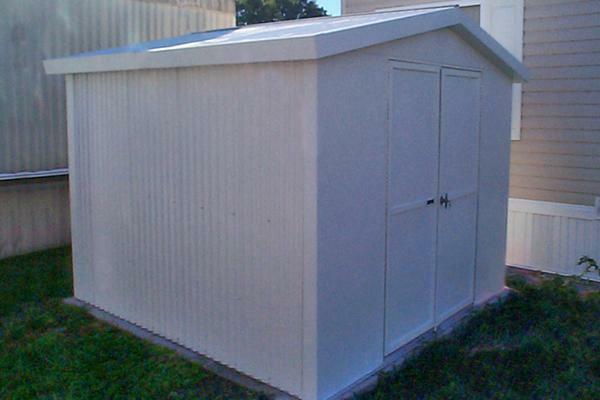 Built with maintenance free aluminum and painted with baked-on enamel inside and out, our sheds will last virtually for-ever. All doors have full length piano hinges and lock with 2 keys. The base colors are white or cream. 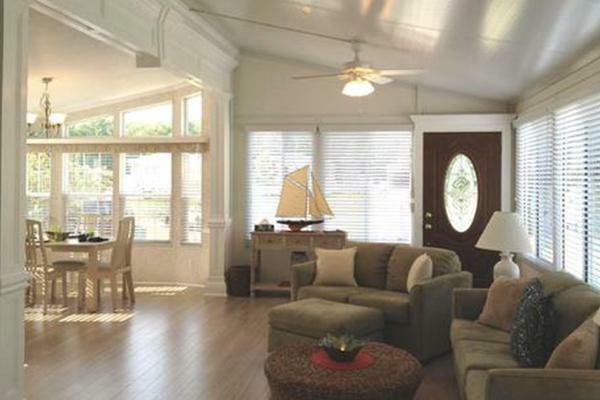 The front corners, back corners and roof trim are available in any Silver-top decorator color.